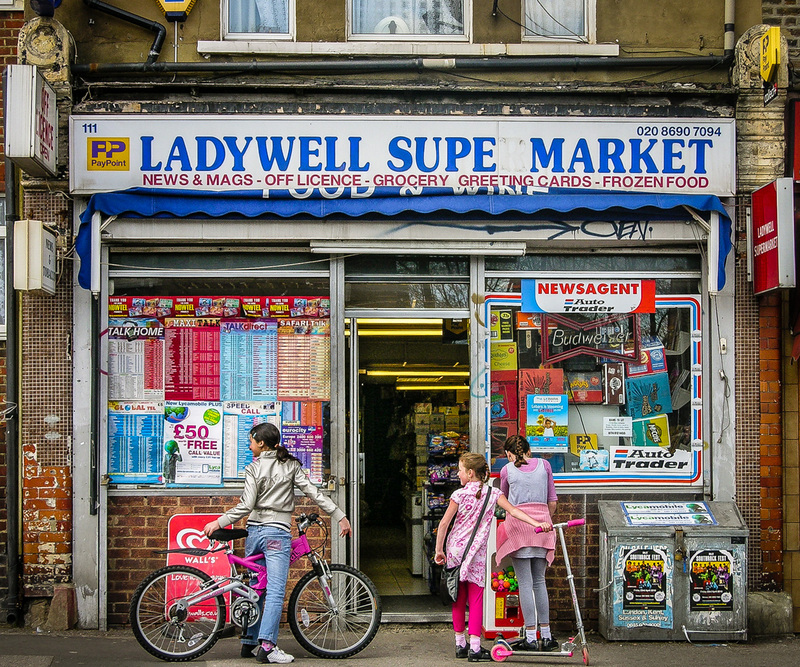 Ladywell Supermarket, 111 Ladywell Road, Borough of Lewisham, London SE13, 2011 • The ladies of Ladywell, patronising a rather tatty shop in a fadedly genteel area. The mosaic pillars may indicate a posher past, or maybe just an ex-takeaway. It later started sprouting the now-ubiquitous Lycamobile ads.